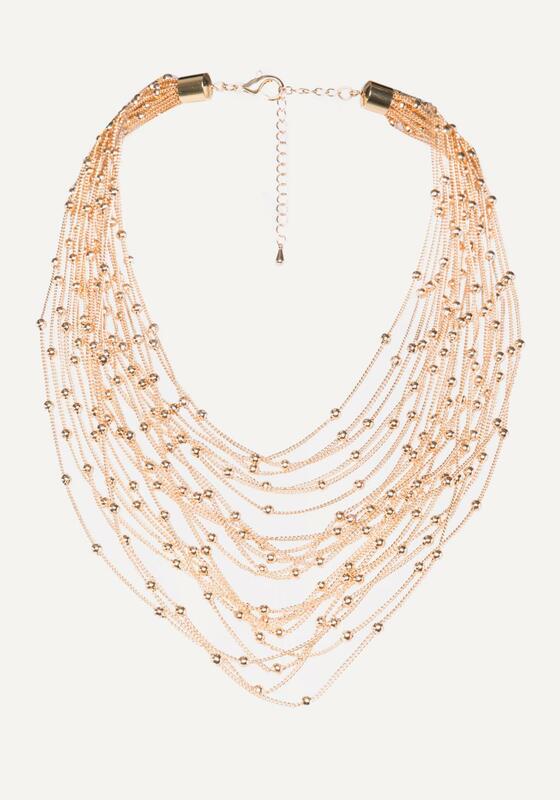 Luxurious necklace in a multi-chain design detailed with lustrous beads. 100% Metal. Lobster clasp closure.